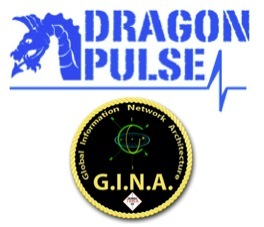 GINA is a software framework that bridges the symbolic and the connectionist representations of the world through executable conceptual models. Declarative contextual, causal, behavioral, and adaptive models for computational inferencing, analysis, and control can run and adapt based on the changing context of data-in-motion. Pattern and curve matching technologies are not "learning technologies." For a machine to learn it must have the ability to calculate concepts and relationships within the context of the moment and then adapt itself to those changes -- that is uniquely possible with the GINA technology. A declarative software design language and methodology for creating applications that infer, adapt, and embody the causal dynamics of real world systems and their behaviors. Unique to VRDMTM applications are the representation of entity relationships as dynamic objects and the orchestration of actions and action-chains across those relationships. Contextual adaptation of a system requires the ability to process the changing data associated with entities in the context of relationships that exist between entities and between the conceptual models that define them. The universe is made up of objects and relationships. Knowledge is the recognition and understanding of the relationships between objects and events. Wisdom is the application of the knowledge of behaviors of objects across relationships to actors and events that may not yet exist or have occurred -- the use of imagination, intuition, prediction. Throughout human history there have been those that were believed to have the ability to speak with God, the gods, or the spirits of the earth. In Hawaiian culture the Kahuna (keeper of the secrets) was seen as one who was capable of understanding the relationships between the spirits of the world, the gods, and humans. Every interaction between people, systems, and things creates new relationships. 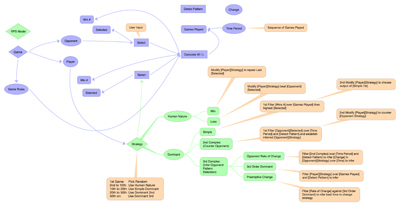 It is the mission of Big Kahuna Technologies to explore and develop new types of systems that provide the understanding of objects and events from the causal dynamics that exist in the relationships between things, and make accessible to both man and machine the meaning of what things are, what they might have been, and what they could be. What does not kill you makes you stronger... Except for Gunships... Gunships will definately Kill You! — — Maj Payne. I am an AmeriCAN not an AmeriCAN'T. — — GEN Patton. Our team is globally dispersed at any given time. If you need to visit us, plan on meeting at Moffett Field in Santa Clara CA or at the US Naval Postgraduate School in Monterey CA. 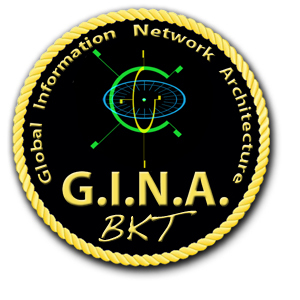 GINA, Global Information Network Architecture, VRDM, and WorldSpace are trademarks of Big Kahuna Technologies, LLC.